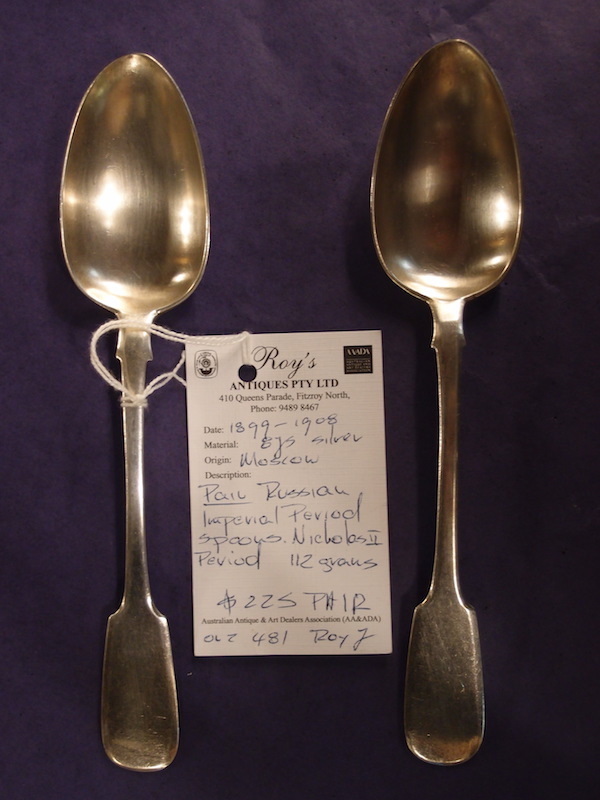 Hallmarked for Moscow 1899-1908, these spoons are the standard Russian silver content of 87.5%. 112 grams total and 19.5 cm long. Fiddle pattern.